SyfyGames.com Redesign Coming–With Exclusive Battlestar Galactica Online Content! Syfy Ventures has announced a major redesign of SyfyGames.com which will establish the site as curator of many of the web’s best free-to-play MMO, RPG, strategy and actions games. 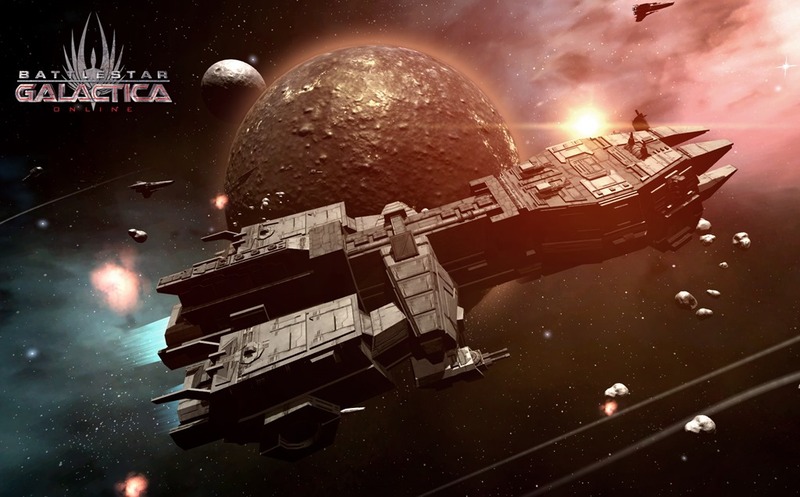 The redesign will also include exclusive content for players of the Battlestar Galactica Online game from Bigpoint. Check out the press release, following the jump, for details. NEW YORK – October 22, 2013 – Syfy Ventures today announced a major redesign of SyfyGames.com, which will establish the site as the curator of much of the web’s best free-to-play MMO (massively multiplayer online), RPG (role-playing game), strategy and action games. Targeting the core gaming community, the current collection of browser-based PC games spans the science fiction, fantasy, paranormal and the superhero genres. Gamers can enter any number of game worlds from one log-in profile and explore various community features on the portal. SkillPod Media developed the site in collaboration with Syfy. Additionally, SyfyGames.com will also offer exclusive content for fans playing the Battlestar Galactica Online game from Bigpoint. Within the newly discovered 46 Graeae sector, all Syfy players will have access to both an exclusive Syfy sector and a special mission. In the new sectors, players shoot waves of challenging enemy ships – smarter than every known AI ship in BSGO – to try and shatter their opponent’s supply lines. As rewards for top mission performances, Syfy players will receive brand-new rare weapons. Among the new games launching this month on SyfyGames.com are Forge of Empires, Mecha Galaxy, Kings & Legends, Skyshard Heroes, Yi Tien, Nemexia and Call of Roma. Many more games are slated for launch by the end of the year. Launched in 2008, Syfy Ventures serves as the business development and new enterprise unit for Syfy, one of the world’s leading media and entertainment companies. Syfy’s portfolio of businesses transcends the television screen, and focuses upon next-generation brand extensions, including both media and non-media properties. Syfy Ventures rapidly expanding portfolio includes four major business lines: Gaming, Film, Kids, and Consumer Products. Syfy Games is the umbrella brand for Syfy’s gaming projects: SyfyGames.com, Trion Worlds (Defiance) and Bigpoint (Battlestar Galactica Online). Previous PostFUNimation’s Blood-C Wins 2013 Reaper Award for Best Animation!Next PostTBS’ The Pete Holmes Show Names Guests for First Two Weeks!